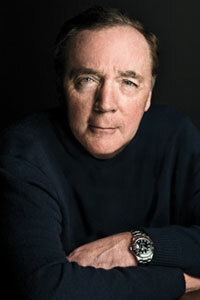 At a BEA panel next week about his $1 million campaign to help independent bookstores, author James Patterson will announce the second round of stores to receive funds as well as the amount of this round. During the first round in February, he gave more than $267,000 to 55 stores and California Bookstore Day. The rest of the donations will be made during the rest of the year in stages. Called "Helping Bookstores, Saving Lives: James Patterson's 1M Indie Store Campaign," the panel takes place Wednesday, May 28, at 3 p.m. in room 1E10 at the Javits Center and will be moderated by Al Roker. Besides Patterson, the panel features three booksellers who received funds in the first round of donations: Mitchell Kaplan of Books & Books, Coral Gables, Fla.; Karen West of Book Passage, Corte Madera and San Francisco, Calif.; and Dave Shallenberger of Little Shop of Stories, Decatur, Ga.
Patterson said, "Every day, booksellers are out there saving our country's literature. The work they do to support schools and the rest of their communities leaves a lasting love of reading in children and adults. I believe their work is vital to our future as a country. What are we if we don’t have our own literature? I couldn't be happier to, very humbly, support booksellers in their mission. Maybe that's because it's my mission as well."